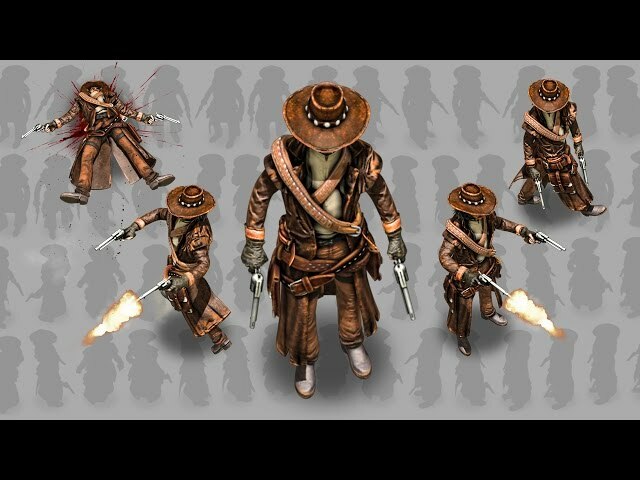 2D cowboy with two guns. Animated rendered into 2D images 3D character. 9 animations with variations rendered from 8 angles. All animations are 30 frames long. The character is about 130 pixels in height.